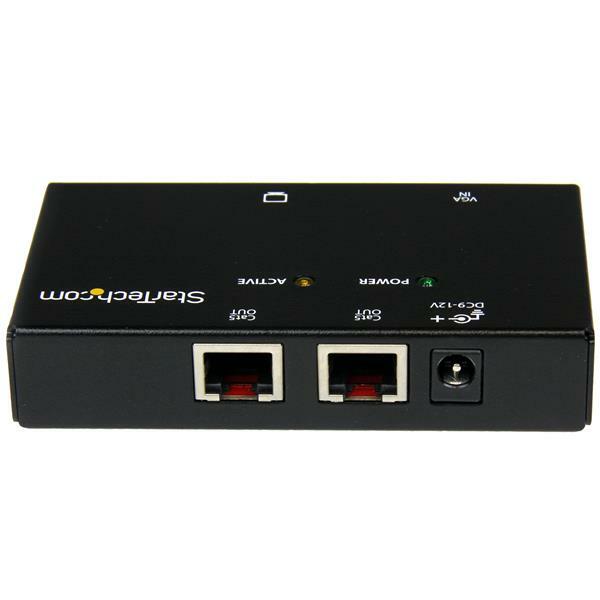 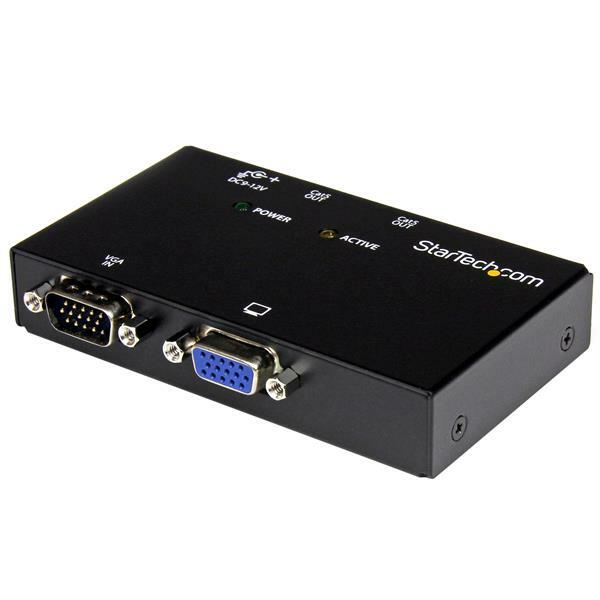 The ST1212T 2-Port VGA over Cat 5 Extender is designed for use with our ST121 VGA over Cat 5 extension series, offering convenient video distribution at distances of up to 500 feet (150 meters) using standard Cat 5 (or better) Ethernet cabling. 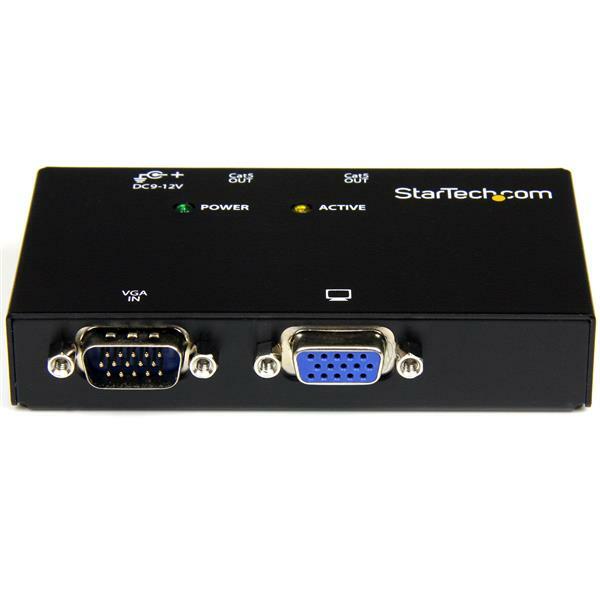 Comprised of the transmitter unit only, the ST1212T requires one Receiver Unit (ST121R) per display that you are connecting. 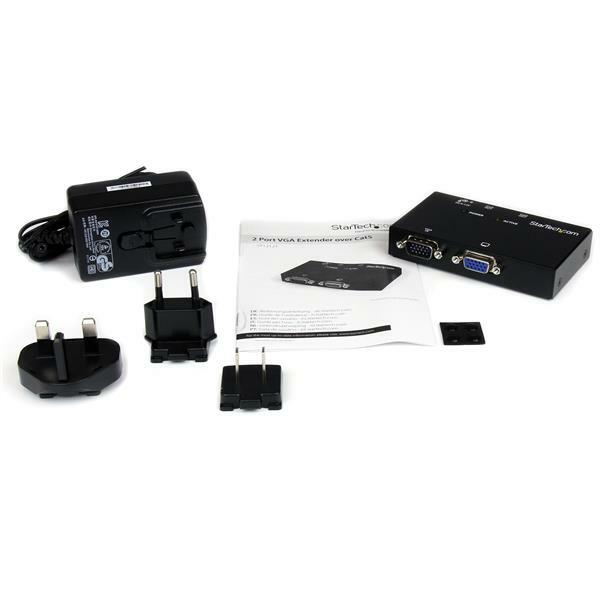 For added versatility, the VGA over Cat 5 Repeater (ST121EXT) can be used to extend the distance between the transmitter and receiver by an additional 500 feet (150 meters), for a total extension distance of 1000 feet (300 meters). 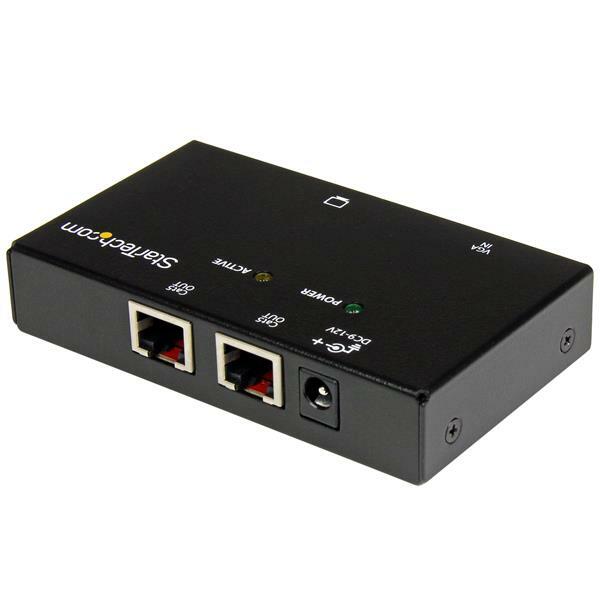 Similarly, up to 3 repeater units can be used between transmitter and receiver, enabling you to connect monitors at each repeater, while still extending the total distance.